The Olympic Sculpture Park serves as an outdoor branch of the Seattle Art Museum. Many permanent and traveling installations are featured throughout the park. 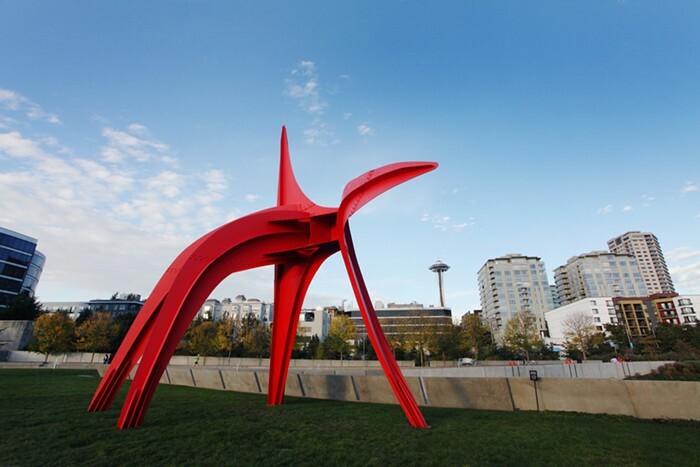 The park is home to well-known sculptures such as Seattle Cloud Cover by Teresa Fernandez, Eagle by Alexander Calder, Wake by Richard Serra, and many more.